Field service companies stand to benefit greatly by implementing the right technology in their organization. A field service mobile application plays a large role because your teams are already mobile. If they are carrying around paper work orders, taking custom signatures on paper and receiving job updates by phone call, there is much room for improvement. Curious about the difference a custom field service app could make for your teams? Read on, we’ve compiled a list of 11 benefits of a custom field service app. You need to track the location of your field teams. 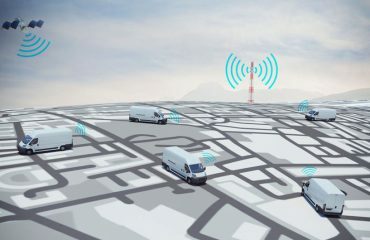 Using the location tracking features of a smartphone in your field service app has a few different benefits. If you are going paperless, you’ll need to capture customer signatures digitally. A custom mobile application will enable your technicians to get customer signatures simply, by asking the customer to sign the screen. Their signature is then uploaded instantly to the cloud. No paper necessary. Even if field team members are in remote areas (or large buildings) without access to the Internet, your field service app can be designed so it will continue to work. They will be able to view and enter job details; and if they need to report a potential problem they can do it while they are thinking about it. When the app detects that they are back in range of an Internet signal the information they added will be uploaded. When a new field team or technician goes into a job, they need as much information as they can get. Giving your service technicians the means to detail their findings and results of a job makes it easier to work with a client going forward. Any promises made or problems encountered are readily available to the next technician who services this client. 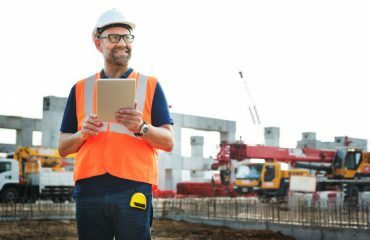 One of the selling points of a field service app is that it syncs information to and from the field, ensuring your in-office teams have the same information as your field teams, and vice versa. Cloud sync is one of the keys to a successful field service app because it ensures that everyone has access to the same information. With a complete history at their fingertips, field team members are able to make better decisions in less time. Too often, technicians have to make snap decisions with little information. A field service app can ensure that all of the details they need are in one place so that those quick decisions are informed, not just quick. If a customer takes the time to provide details when they make a service request, the last thing they want is to be asked to repeat those details again and again. Your custom field service app makes it easy for field technicians to get right to work based on specifications your client provided. If you want to really impress your clients, having the ability to provide automated quotes on the spot is a big plus. Field service apps make this not only easy, but quick. With some customization, you can make sure that all pertinent information is included in the quote so that there are no surprises after you get the job. With a custom field service app you can automatically capture the time and GPS coordinates of the team member when they complete certain actions (such as taking a photo, getting a signature, recording data). You then have documented proof of when and where the information was captured. Hand-written job notes do not provide this level of detail and may not be enough proof in the event of a lawsuit. Is your field service company considering implementing a mobile application for your team or your customers? If so we’d love to talk about the benefits of custom development and see if it’s the right fit for your organization. Request a no-charge consultation with our team today. We have other articles about field service apps in our blog that may interest you as well.